Fascist Italy has officially banned about fifty words of foreign origin now in common use in the Italian language. 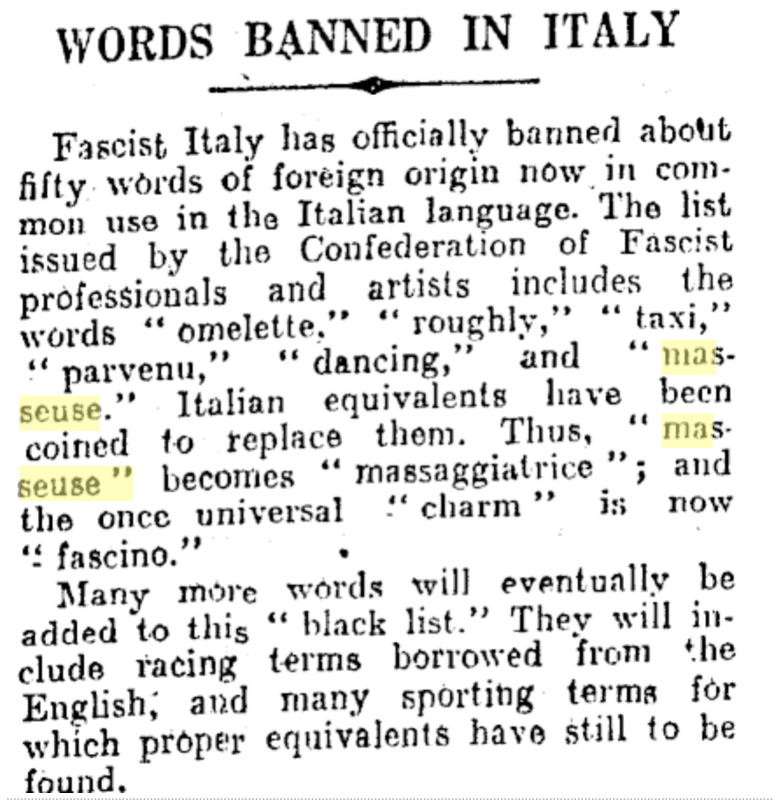 The list issued by the Confederation of Fascist Professionals and Artists includes the words “omelette,” “roughly,” “taxi,” “parvenu,” “dancing,” and “masseuse.” Italian equivalents have been coined to replace them. Thus, “masseuse” becomes massaggiatrice and the once universal “charm” is now “fascino.” Many more words will eventually be added to this “black list.” They will include “racing,” terms borrowed from the English; and many sporting terms for which proper equivalents have still to be found.